GOOD CHEER PRICE: $11 with free shipping & handling! What a lovely package of cheer for this holiday season, perfect for wrapping up all your gifts! Here's what you'll receive! 10 of each: medium glassine bags, small glassine bags, paper sacks, manila tags. 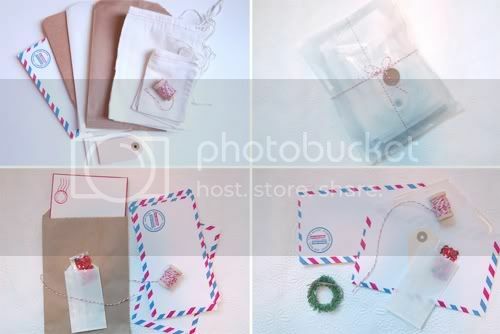 5 of each: medium cloth bags, small cloth bags, airmail envelopes, kraft gift boxes plus 1 spool (5 yards) of red + white bakers twine! That's over 60 items for only $11! 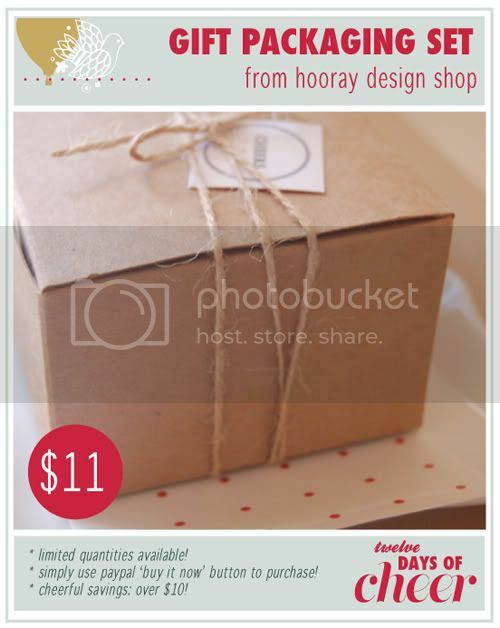 - Please be sure to visit Hooray Design Shop and support! - This deal is only good for customers in the us, sorry! thank you very much for this wonderful offer! Purchased! Thanks for this offer! I've got a thing for air mail and postage things, so I had to jump on this offer. Just bought mine! Can't wait to receive it! Well this truly made my day! I bought one and can't wait for it to arrive! What a sweet little package! I just bought one. Thank you so much! I just bought one as well!!! Awesome deal. omg!! i have got to get this! thank you for such a lovely deal! you guys are awesome.